Leather Holder for 4" DMT Stone - ONLY £4.99 - SAVE £1! DMT Diamond Whetstone™ for use with Aligner™ sharpening guide. For professional sharpening results, regardless of skill, depend on DMT Aligner Kits and Accessories. Size: 4.33" x 0.875" x 0.1875" (111mm x 23mm x 5mm). 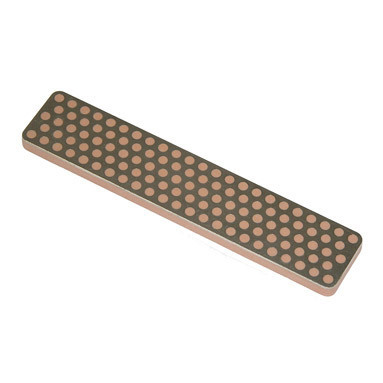 4" Diamond Whetstone for use with Aligner AHF (Interchangeable Stone Holder). Sharpening with diamonds is fast and easy. No messy oils needed (sharpen dry or with water).